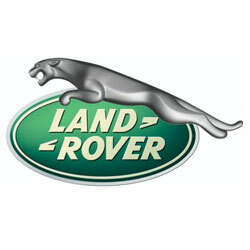 Indian-owned car manufacturer Jaguar Land Rover has reported a 34% rise in profits after sales hit a record high. In 2011-2012 JLR made pre-tax profits of £1.5bn, up from £1.12bn the year before. Retail sales were up 27% to 305,859 units, with parent company Tata Motors attributing the significant increase to strong demand from China (where sales jumped 76% to 50,994 units) and other emerging markets. The new compact 4×4 Range Rover Evoque has proved particularly popular, the company said. Although the UK remains JLR’s biggest market, with retail sales of 60,022, up 3.2%, the group now exports 80% of its production. Sales to India rose 153.3% to 2,138, while sales to Brazil rose 62.2% to 9,027, as buyers in emerging markets warmed to the luxury brand. “What we saw in today’s results was China emerge as their key market,” said David Bailey from Coventry University Business School. Commenting on the results, Ralf Speth, JLR chief executive, said: “Today’s announcement… is a positive reflection of the continued level of consumer confidence in both of our brands. In March, JLR announced it was creating 1,000 new jobs at its Halewood factory on Merseyside saying it needed more workers in order to meet strong demand for its Range Rover Evoque and its Freelander 2.